The Uttarakhand High Court, during a hearing today on Former Chief Minister Harish Rawat’s plea, has made some scathing observation against the Central Government for its interference in State’s affairs. First Bench of the High Court comprising of the Chief Justice K.M. Joseph and Justice VK Bist also asked the Attorney General, Mukul Rohtagi, who appeared for the Central Government in the High Court, to explain why President’s Rule was imposed on the state at a time when the Harish Rawat government was in its fifth year. Observing that interference in the state's affairs is not to be seen lightly, the Chief Justice reportedly remarked“the root of the matter is that you are cutting at the root of democracy”. “Will it not be totally extraneous for the central government, which is ruled by another political party, to be concerned by the changed composition...”the Bench added. To this, the Bench retorted “Can one solitary instance topple a democratically-elected government in its fourth-fifth year... root of the matter is you are cutting at root of democracy". The Centre had imposed President’s rule in the State on 27th. The Single Bench had then ordered floor test to be conducted on 31st March. The division bench of Uttarakhand High Court had stayed the operation of Single Bench order directing floor test for the Harish Rawat government. The hearing is continuing. Meanwhile in Supreme Court, a PIL which was filed by ML Sharma, was not entertained. 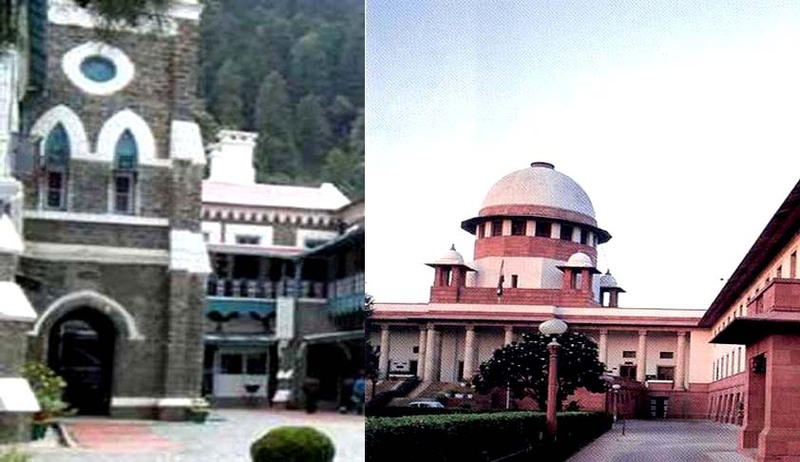 Supreme Court reportedly questioned the petitioner ‘locus’ and ‘bonafide’ and “Politics is going on in Uttarakhand, we are not concerned with that. Whenever a situation arises and the Constitution needs to be examined, we will look into it. But without such a situation, we cannot do anything. There is some controversy going on and you come and file a plea,” Later the petitioner withdrew his plea.